Now, I looooove banana bread, but sometimes you need a bit of a change. 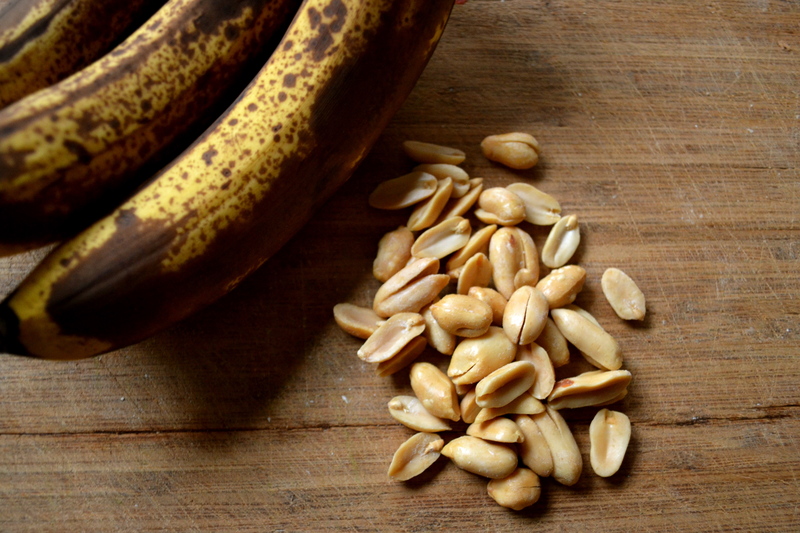 Peanut butter meet banana. I dig these in the morning, in the afternoon, a snack before a run, a night snack…. Yes, make these puppies. If you like sweet muffins, feel free to increase the honey or sugar. 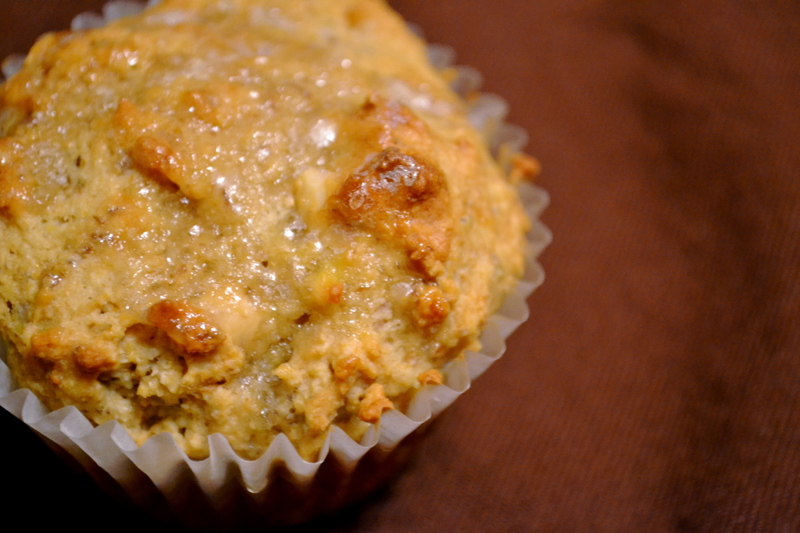 These muffins are adapted from Mark Bittman’s recipe for muffins in “How To Cook Everything” and the “Food Matters Cookbook“. And inspired by Joy the Baker’s recipe for Peanut Butter Banana Bread. Heat oven to 375 F. Line 12-cup muffin tin with muffin liners. Combine dry ingredients in large bowl. Whisk till combined. Set aside. Combine wet ingredients (honey through egg) in medium bowl. Add butter and peanut butter. Stir until all ingredients are incorporated. Make a well in the middle of the dry ingredients. Add wet ingredients to the dry ingredients. Mix with wooden spoon or spatula until just combined. Stir in peanuts, if using. Sprinkle the tops of each muffin with turbinado sugar. Fill muffins 3/4 full. Bake for 20 minutes, or until toothpick inserted in middle of muffin comes out clean. Tops should be lightly browned. Remove from oven and allow to cool for 5 minutes. Cool on wire rack. Eat warm!!!! Those look crazy good! YUM.